Send us your files and you will get a quotation in less than 24 hours. 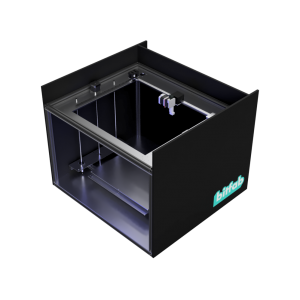 Receive support from our technical staff to help you prepare your project for 3D printing. We will manufacture your designs with 3D printing and send them to your address. We offer FDM 3D printing (fused filament technology) in our own machines designed for production. This is the most versatile and economical technology for final parts and prototypes, from medium to big size. Polymer materials from PLA to technical materials like ASA. 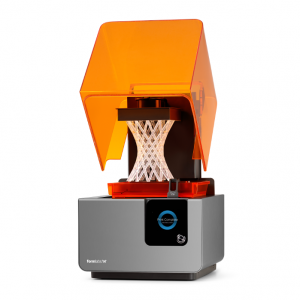 SLA/DLP 3D printing (resin) in our own machines. Why use 3D printing for manufacturing? 3D printing doesn’t have the setup costs associated with molding or CNC. Very competitive prices for prototypes and small series. 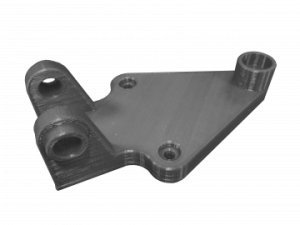 Able to produce complex parts, typically requiring 5 axis machining, without added costs. Design your parts for functionality and think less about the manufacturing constraints. Parts can be ready in as short as 3 days. Speed up your prototyping and manufacturing cycles. Several physical iterations of the prototype or product are possible. Quotation is generated directly from the 3D model (usually with an STL file) and the customer requests. No need to generate drawings or manufacturing documentation. Why kind of parts can we make? 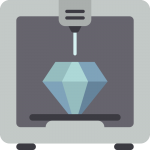 Rapid prototyping is the most common application of 3D printing. Order unique parts with lead times of just days, test your design with physical parts and have a faster developing cycle. Create jigs, tooling, templates with 3D printing and have them in your factory or workshop in days. 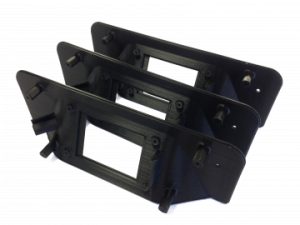 Jigs can be redesigned and improved over time due to the low cost of producing one off parts with 3D printing. We offer an alternative to traditional manufacturing techniques (CNC, sheet metal, injection molding…) for small production volumes. 3D printing is usually more economical for short series and allow you design more functional parts with faster turnaround times. We have our own FDM (fused filament) and SLA (resin) machines for producing your parts in house and adapt to any type of part that you need. We can offer other technologies and options for special projects. Free technical support for preparing your order and files before printing, from the moment you contact us for the first time. 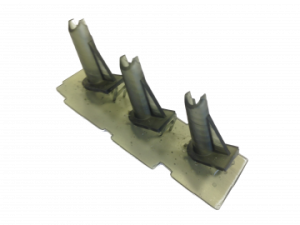 We help our customers choose the correct technology for their parts, optimize their designs for strength, printability, finish… based on your type of project. You don’t want to design the parts yourself? We can help you model your ideas from concept or drawings to a 3D file optimized for 3D printing.